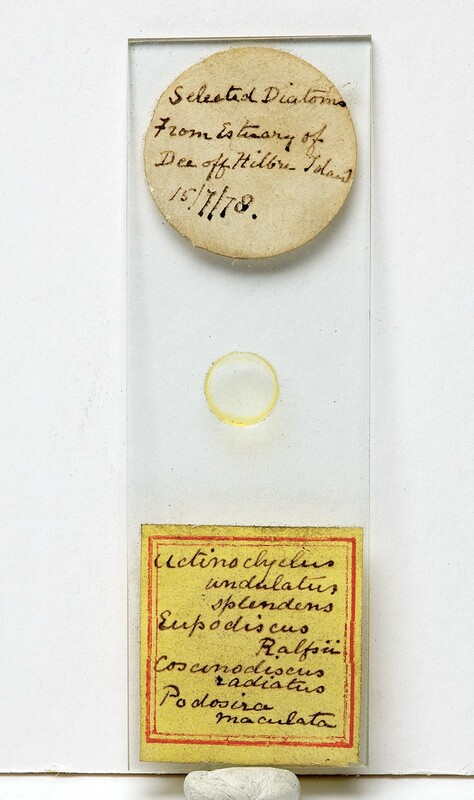 The Museum has over 2000 slides of diatoms donated by Dr Henry Stolterforth, who collected them from the local area, from around the world and also from the HMS Challenger expedition. Diatoms are tiny, single-cell plants. They live in a wide variety of habitats, including ponds, seas and soil, and some even live attached to trees. The Challenger expedition, 1872-6 was the first scientific attempt to collect samples from the sea floor; it reached depths of 8.2 km (5 miles0 and it travelled over 130,000km (81,000 miles) through the Atlantic, Pacific and Antarctic oceans.